Blue Point Brewery courtesy of Facebook. When news broke that Anheuser-Busch InBev was buying Long Island’s Blue Point Brewing Co., I was blindsided like many people. As this was the biggest story in the past ten years for our local beer community, there was much debate that quickly devolved into extremes. On one side, Blue Point was the Antichrist, selling out to the devil; the other displayed a Pollyannaish attitude that all will be well. With arguments exploding in every online discussion, I stepped back from the fray, since it looked like there was nothing left to say. But after reading more articles and blog posts on the subject, I felt that many people were wildly missing the point. You know what they say about opinions and specific body areas, but I’m still sharing my own. Yes, the customers and fans of Blue Point may feel sad and maybe a bit angry about the merger. Blue Point fostered the current “us against them” attitude within the craft-beer culture. That built customer loyalty and helped build a large fan base. Blue Point pushed that message on bottles, labels, banners, and other media. It was their brand identity. Was the fallout that came afterwards really that surprising? The lack of a statement from the owners, Mark Burford and Peter Cotter, didn’t help. Had they said something, it might have quelled the tide of venom. Possibly, they knew what was coming and are waiting to give their customers a chance to vent. The onslaught of opinion, even negative opinion, shows how much passion there is about Blue Point, its beer, and its business. I, too, have concerns about this venture. I’ve had a personal experience with a corporate takeover that still leaves a bad taste in my mouth. AB InBev has a dubious track-record of recipe changes and plant closings. People who know the industry point to the example of AB InBev‘s purchase of Goose Island, a craft-beer aficionado’s favorite, which, so far, has not been entirely negative, but there’s a whole ’nother debate on the pros and cons of that acquisition. Stop. Everyone. Please. Stop. The New York Times wrote “Terms of the deal between Blue Point and the United States arm of Anheuser-Busch InBev were not disclosed,” so presently, we can only speculate. Unfortunately, there has been much hate, ignorance, and overall vitriol flung about, without considering the context of Blue Point— its history, and what it means to Long Island and the craft-beer industry as a whole. [A]fter having the amazing, illustrious Heady Topper, I made up my mind that I would not be going out of my way to get a delicious Double IPA when I can get plenty, fresh, in my back yard. So why care about a portfolio of beers way below the caliber of Hill Farmstead, Maine Beer Co., Tired Hands, and other amazing North East craft breweries. Did those mentioned craft breweries just pop up into existence out of a fantasy vacuum where the market and consumers were magically there? Don’t modern craft brewers reap the benefits of pioneers like Blue Point who were around for 15 years, long before any of these new brewers made their first batch? Mark and Peter got in their van, driving bar to bar, restaurant to restaurant, distributor to distributor, asking them to give craft beer a chance, paving the way for micro- and nano-breweries to reach the same audience. Didn’t Blue Point’s business model give banks and local townships a reason to invest in small craft breweries? Didn’t it help convert the general public, one Toasted Lager at a time, proving that there was something else, something more then Bud-Miller-Coors? Surely, that long road wasn’t paved by craft-beer fairies. Blue Point was, and still is, an inspiration to breweries on Long Island, New York State, and the Northeast, because it showed potential brewers, yes, it’s possible—you can make a living at this. While beer snobs scoff at Toasted Lager, it was revolutionary and award winning. Future brewers, sitting in a bar, looked up and saw that tap handle, a shining beacon stuck between the big, macro-brews. The Danny Fullpints should be thanking Blue Point for helping grow the craft-beer movement for those sweet Heady Toppers or whatever beer du jour they fancy this millisecond. “Here’s the thing… You could drink a different good beer every day for the rest of your life. Period. And this expansion works in both directions. For every job that is lost on Long Island (and whatever Mark and Pete are saying—possibly in earnest—jobs will be lost at Blue Point), NY will gain a job [sic] thanks to Bell’s expansion (distributors are people too!). Not to mention the jobs that will be created in Michigan, which probably needs them more than we do anyhow. …In the meantime, I’ll take Bell’s and AB can take Blue Point. It’s all good. Bell’s Brewery, from Kalamazoo, Michigan, just starting distribution in New York, is the brewery of the moment. How many breweries has the craft-beer community ooh-and-aahed only to toss them aside for the next big thing? It’s not about the beer; it’s about community! 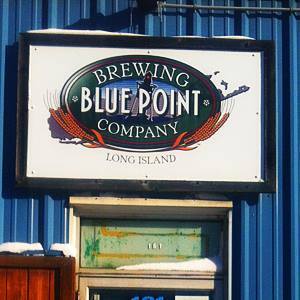 And Blue Point has long been entrenched in the Long Island community. The angry mob seems to have to forgotten the time when eight local breweries met at Blue Point’s brewery to brew Surge Protector Sandy Relief Ale, after Hurricane Sandy sucker-punched Long Island and destroyed Barrier Brewing Co. It was one of the largest collaborations in craft-brewing history. All of it brewed, labeled, and packaged at Blue Point Brewing Company. $58,000 dollars was raised, and half the proceeds went to help Barrier rebuild, and the other half given to Long Island Cares. Let’s not forget about the Blue Point Cask Ales Festival, started in 2005. The festival has introduced many up-and-coming Long Island and New York regional craft brewers to the general public, acting as a catalyst for many small breweries—getting their brews known and becoming successful in their own right. Mark and Peter are ambassadors of the Long Island craft-beer community. They’ve offered insight, time, and help to many brewers, sharing their experiences and the challenges they’ve faced owning and running a business. They have donated much to local charities and their hometown, Patchogue, New York. So tell me what Bell’s Brewery has done for Long Island and its brewing community? It’s ok, I’ll wait. The best article that I have read about this is from Jason Nottee, a reporter writing for TheStreet.com. Blue Point was founded in 1998 and, along with Brooklyn Brewery, it was one of the few New York-area craft brewers to make its presence felt in the New York metro area during the early 2000s. Blue Point signage and tap handles found their way into bars, bodegas and liquor stores around New York City, Long Island and New Jersey. Its Toasted Lager and Hoptical Illusion became fixtures in bars where craft beer previously hadn’t ventured. But what happened to Blue Point along the way is becoming a familiar tale in a growing craft beer market that has little respect for all but the oldest of its elders. I recommend reading the entire article. It’s fantastic. It looks beyond the sale, describes the impact over the craft-beer market, and doesn’t engage in speculation. The last line in the article struck a chord. As Blue Point made clear, all it takes is a tired, fading brewer to make such a sale possible. Blue Point may appear like the old guard to a craft-beer community that has 2,500 breweries to choose from, but if we take a little time away from the beer-rating sites we can see them as they truly are—ahead of the curve, consistent, and winner of many medals. White IPAs are starting to gain in popularity—Blue Point released one in 2011. Their award-winning brews include: Hoptical Illusion winning in 2005; and, RastafaRye Ale winning in 2009 and again in 2013. There are many more awards to choose from. He’s right; I wish more beer drinkers would admire these traits. Blue Point hasn’t changed that much from its early days, but its consumer base has changed. Newer, crazier, hoppier, rarer are the modern-day brewery hallmarks. Craft beer is becoming all about over-the-top and over-hyped. It’s a time where beerophiles show off their anointed brews on Instagram like they’re showing off their children on Facebook. Blue Point Brewery didn’t cater to that audience. Its focus was on hard work, craftsmanship, and consistent quality—not hoopla. I don’t know why Blue Point Brewery sold to AB InBev, and, while money seems to be the major factor, we may never know all the reasons. I have my own suspicions, but, whatever I know or suspect, I wish Mark and Peter the absolute best. They have worked hard for this and have given their absolute all to Long Island and the craft-beer community for the past 15 years, and they deserve to reap the rewards. As Lauri Spitz, brewer and co-owner of Moustache Brewing, aptly put, “It’s the end of an era.” Indeed it is, but let’s have some patience and show some damn respect. Awesome, well balanced and very articulate! Thanks for getting the other side out there! Love it!